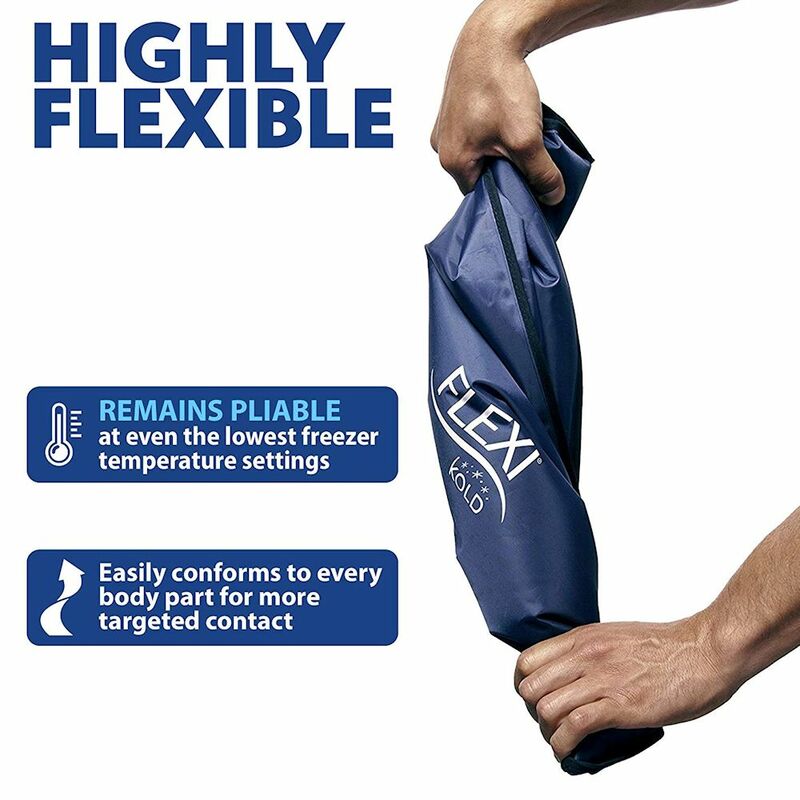 The Most Flexible Cold Pack available due to a professional-grade gel interior that remains pliable when frozen, which provides better contact by conforming to any part of the body. 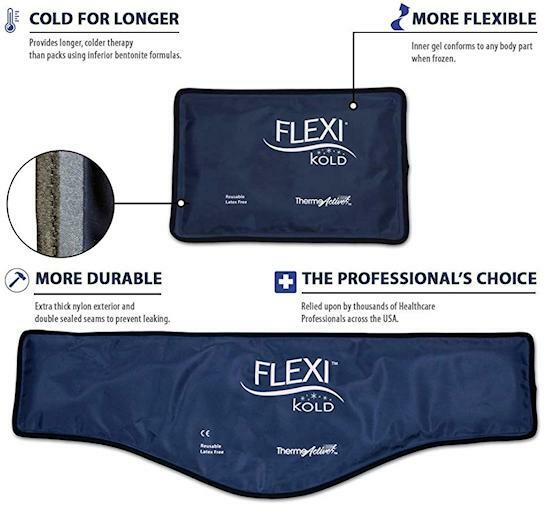 Relied upon by trainers and therapists everywhere for cold applications to any part of the body. 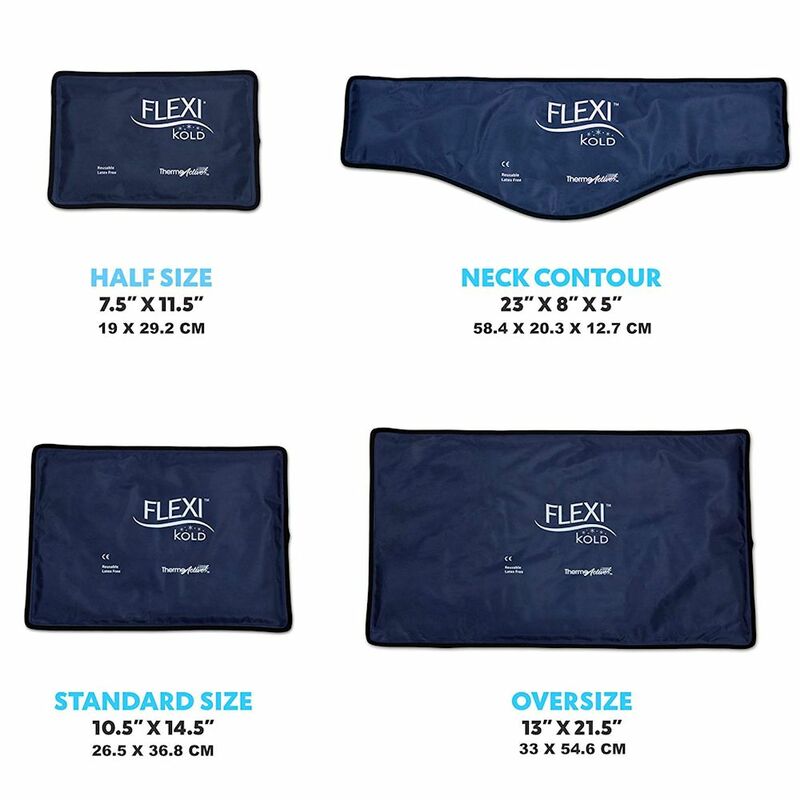 The flexible packs are durable and provide a contour surface as opposed to hard cold packs that must defrost before getting pliable enough to treat effectively. These cold packs are affordable and easy to use. 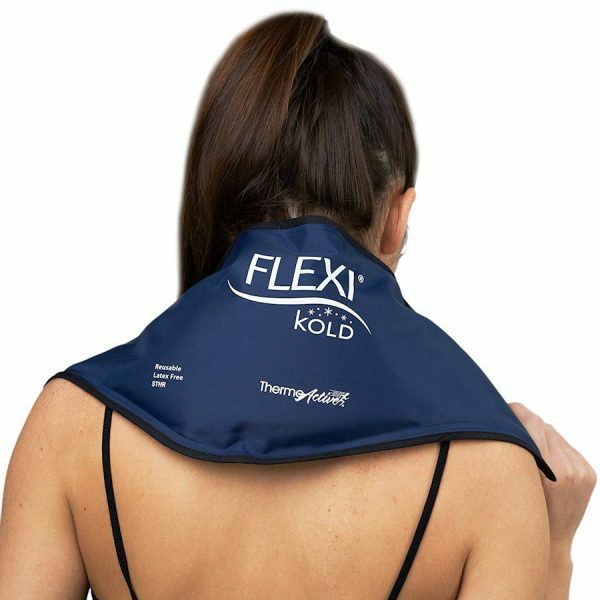 Cold therapy is the treatment of choice to reduce inflammation associated with injury and chronic flare ups. 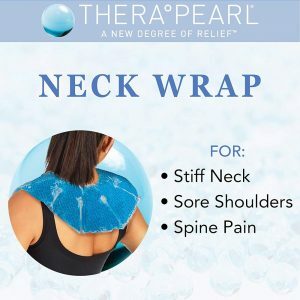 There is a contoured version that is great for applying ice for neck pain, as well as reducing pain and swelling after a neck injury to promote faster and better healing. 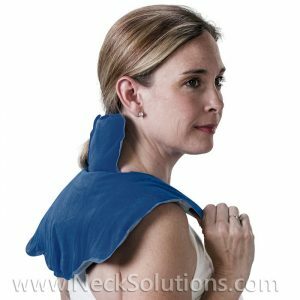 There is also an oversized version that is good for reducing back pain as well as upper back pain and can treat both at the same time. 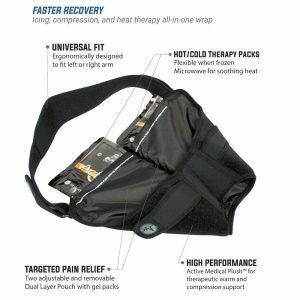 The cold packs use a proprietary gel to stay colder for longer periods. 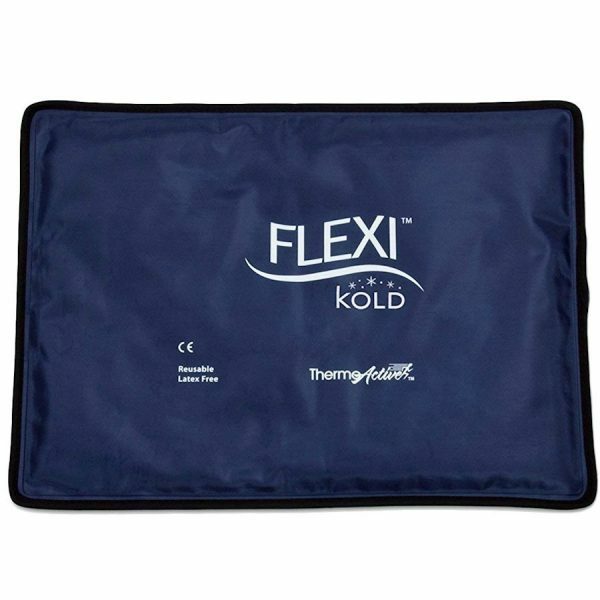 Typically, cold therapy is used for about 15 minutes. You can leave the pack on longer, however, more time is not necessary for inflammation reduction. 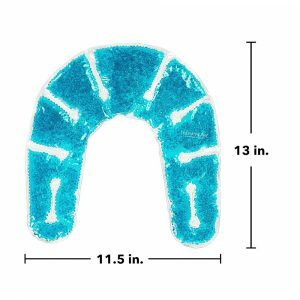 Typically, pain relief from numbness will be felt within that period. 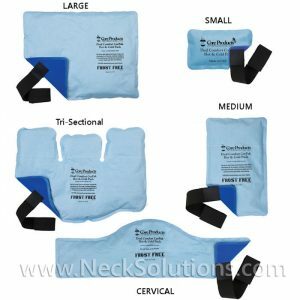 The neck pack is a versatile one, I used this for both of my shoulder surgeries. 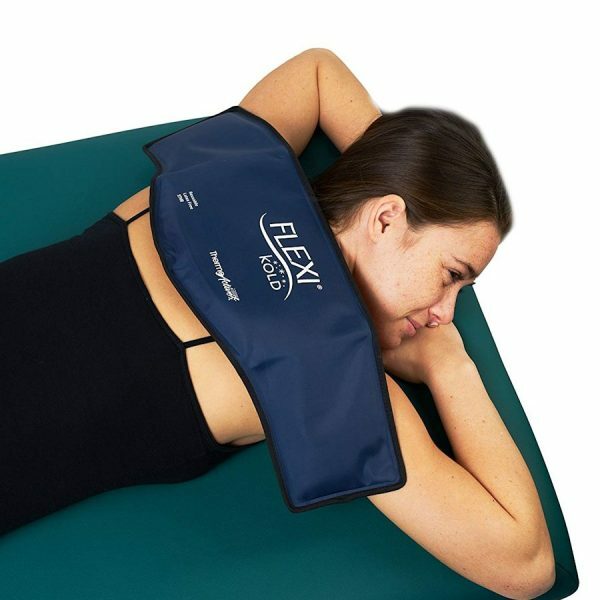 I found typical shoulder wraps were too difficult and painful, but the neck pack draped nicely over the shoulder and provided a great treatment and much more cost effective and less labor intensive than the recommended electrical cold water machine. Due to the nature of surgery recovery, I had two of them, so one would be always cold and ready should I need an extended treatment. The construction is very good for the price. It is double sealed which helps to prevent leakage, and has an extra thick nylon exterior. Easy to keep clean and reuse. Stays flexible at your freezers lowest setting and for extended periods. 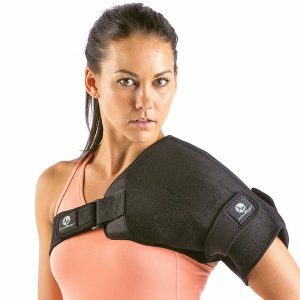 There are many uses: arthritis, injury, swelling and inflammation, hot flashes, muscle tears (strains) and more. 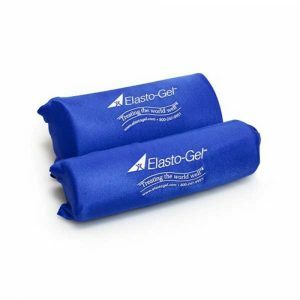 Remove from freezer and use a light towel or fabric between the skin and gel pack. Clothes may be enough, however, it may be too cold to place directly on the skin, so, you can always take a towel off. Apply it to area for treatment. 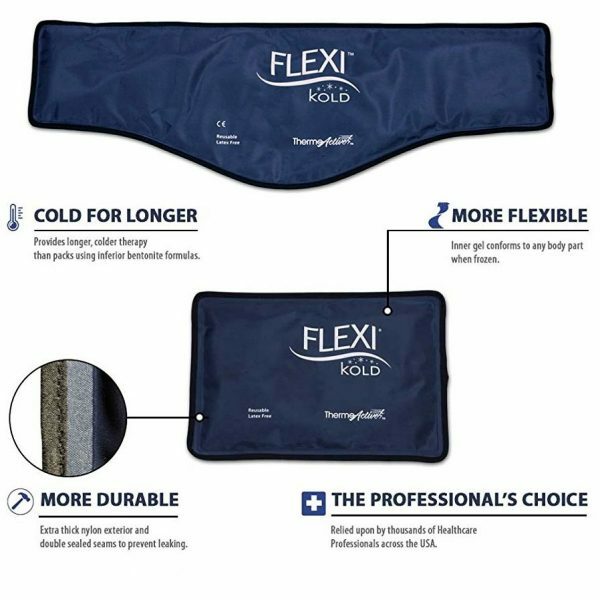 Always check with your health care professional professional for recommended times for gel cold packs therapy. 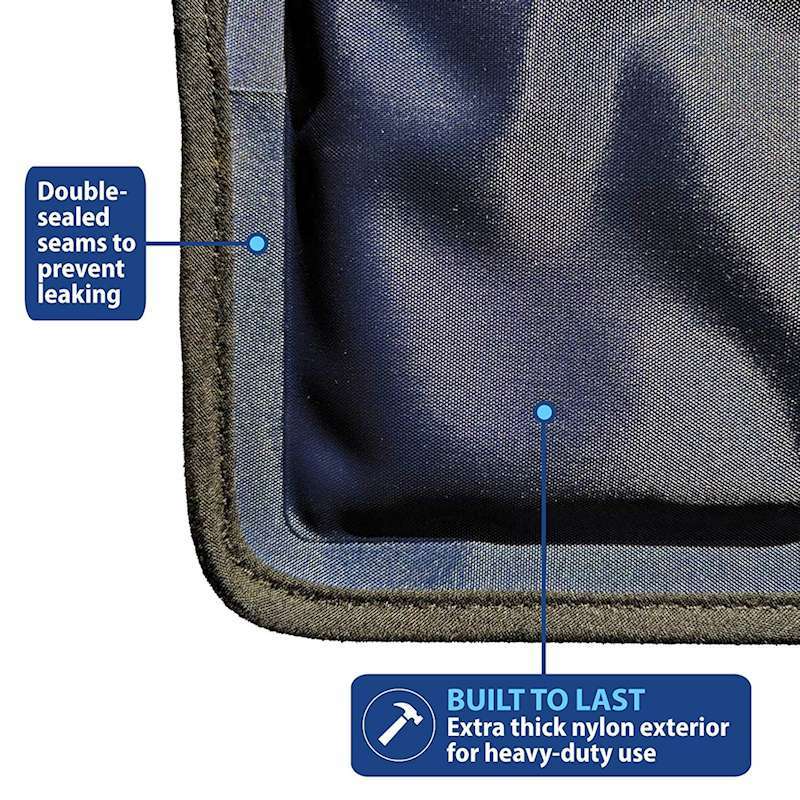 Basically, 15 minutes and no more than 20, however, the pack should begin to diminish by then, so the main concern is making sure the skin is not damaged for the initial 15 minutes.